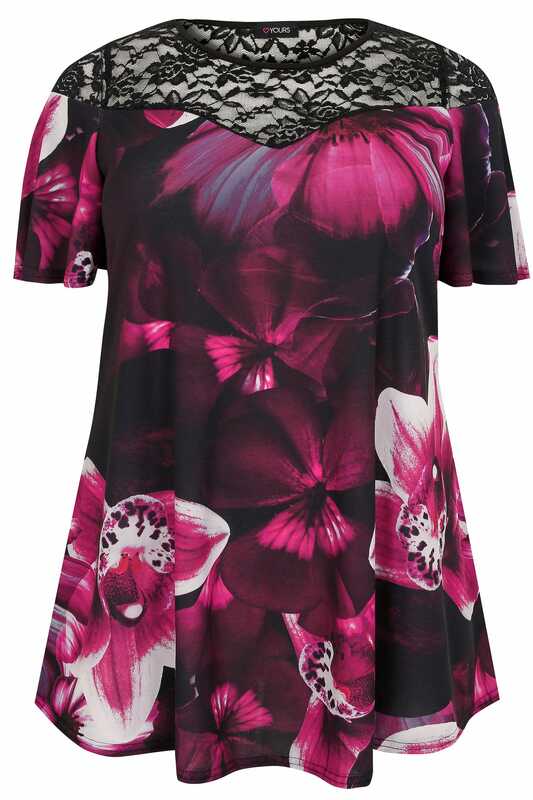 Front length from (approx): 84cm/33"
Back length from (approx): 81cm/32"
This stylish floral top is designed to flare slightly towards the hem to give a flattering swing shape. Made from a slinky jersey fabric, it's ideal for smart and casual occasions. Team with skinny jeans and mules to complete the look. 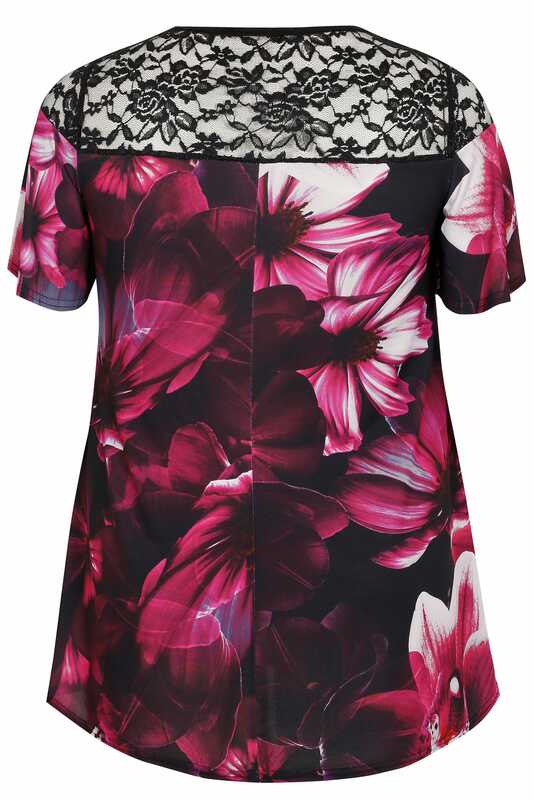 We love the sophisticated lace yoke.